Your garden will finish your home by complimenting the architecture and style of the house and making it a place to live and enjoy. Your house may have nothing around it at present except dust or mud leaving a blank canvas, which unless you have built before can look a little daunting. 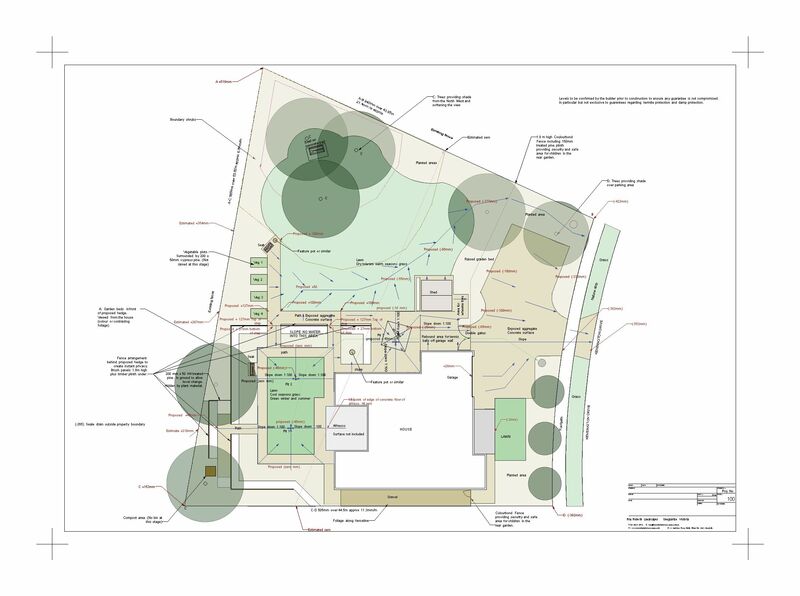 We offer ideas and solutions that make the most of the opportunities with our hourly rate design service, and continue this through to your choice of design drawings right through to the completed landscape as you require. You may have a list of things you want from the garden design and with our input we will be able to explore the possibilities of your project and create your landscape. Trends and fashions come and go but buildings and gardens are there for years. Modern contemporary low maintenance landscape styles typically work very well with modern buildings, with current trends favouring earthy, naturalistic, bold statements and mass plantings. 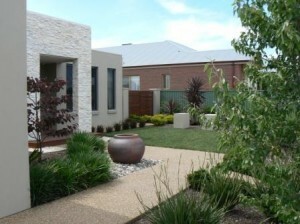 Practicality and the way the garden functions are also critical to making the outside spaces work for you. These requirements will be unique to the way you live. We can help you avoid falling victim to poor fashion choices by using the best of current trends in plant selection and landscape styles in a way that makes your house and landscape work. 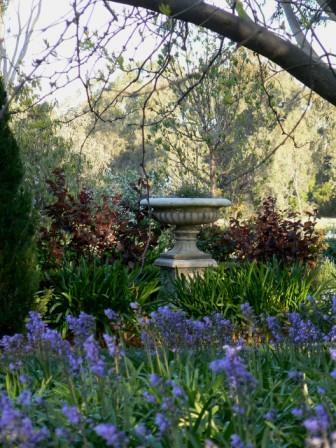 New houses of classic styles need gardens to match, with plants and plantings styles to suit. As with all gardens the flavour of the house should spill out into the garden. 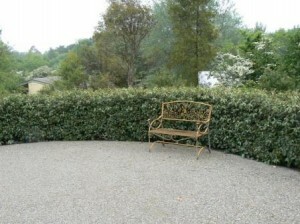 The overall effect of the home will be determined by the garden around it. Formal defined landscapes suit solid powerful architectural styles. New houses with a more period influence will suit dappled shade, seasonal changes and low clipped hedges as well as colour and perfume that are reminiscent of beautiful old properties with charm and character. Special skills in plant selection and garden layout coupled with the appropriate use of landscape materials are the keys to our garden design success. Having a block of land however large or small provides the opportunity to consider how the buildings, services and landscape elements will work together. Proper integration of elements simply makes things feel right and often costs no more than constructing a project another way. Opportunities exist to maximize the cost effectiveness of building works when considering the two together. This may be as simple as coordinating electrical works, making provisions for future landscape works or protecting existing site features. Getting A Landscape Perspective: Working from plans prior to construction provides the opportunity to get a landscape perspective early on. Although you would expect us to be focused on the outside the way the inside and outside work together is really what makes a landscape step up to another level. Maximise The Value Of Your Property: Our perspective on how the outside space relates to the inside can help you avoid missing out on valuable assets that the site may provide. A landscape perspective can also help you avoid devaluing the site due to poor placement of septic systems, outdoor buildings, swimming pools, windows, doors or the house itself. 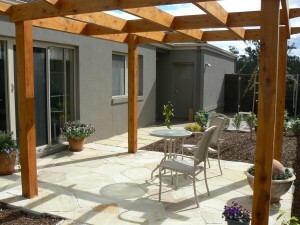 Properly integrating the indoor and outdoor spaces really makes a property stand out. Planning For Staged Construction: If the project is to be built in stages then provisions for future landscape elements can also be incorporated allowing these to be considered, thought through and planned for. Our garden design experience will make future changes easier and more economical by allocating space, services and access when designing the project. Changes to an existing house and garden can make a real difference. Looking at potential changes and improvements is easier for us since we are not familiar with the site. A fresh pair of eyes sees things differently and talking through possibilities helps refine ideas you may already have or provide radically new ones, which you hadn’t thought of. Changing What You Have: If the garden wasn’t well thought through to start with it is likely you may want to start from scratch but it is worthwhile deciding what is worth saving. From a site visit we can determine what existing elements have value and may work well in a new design. 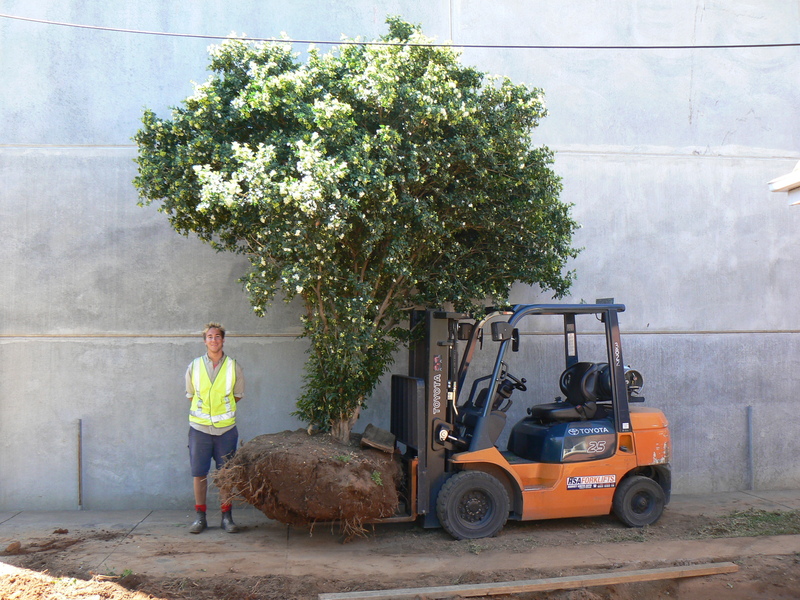 For example a specimen tree in the wrong place now may be terrific in the same spot in an altered design so let’s not throw anything out until it has been thought through. Working around selected existing features, plants and structures adds another challenge to landscape design but can lead to a finished result with instant maturity and interest. Whether you are adding a pool or removing one it will have a big impact on the landscape. Deciding on the best location and orientation for a new pool or entertaining area is important and good plant selection and landscaping can turn it into a lovely private paradise. Don’t wait until someone has dug a big hole in the back garden and then think it might have been better elsewhere! 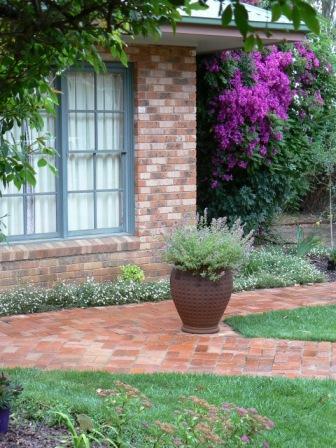 Major structures like these cost money and it is well worth contacting us first to provide a landscaping perspective independent of the builders. 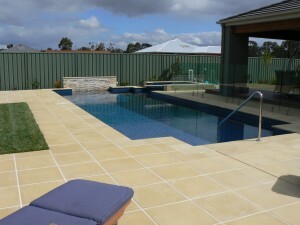 A pool needs to be the right way around and fit in with other elements of the outdoor environment. Pools need to be fenced and supplied by ugly pumps and blowers and filters. We can work with you and the pool company to avoid common landscape disasters and make sure you get the best end result. Simply contact us and tell us about your new garden design project and we will discuss how we think we can help. Use the form provided on the Contact page or phone us to arrange an appointment.